The Virtual Reality technology enables complete immersion in digital worlds. By means of a head-mounted display, which contains two small screens, the user looks into three-dimensional computer-generated worlds. 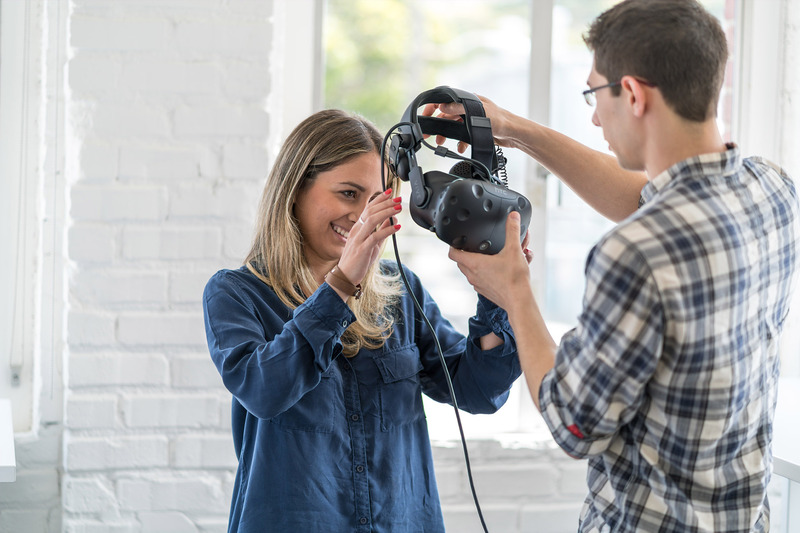 Since the headset is equipped with position sensors, the user can move his head freely, while the digital content adapts to the corresponding perspective in real time. The stereoscopic display and complete shielding of the outside world make this technology particularly immersive. Thus, for example, architectural projects that are still in the planning phase can be undertaken by planners and interested parties long before the actual implementation. The technology is not limited to pure visual representation. The real-time calculation of virtual content allows users to interact with the digital world. In addition, the virtual world can be extended by various functions, such as changing materials, fading in and fading out individual contents and physical simulations. Augmented Reality does not isolate the user from the outside world. This is made possible by overlaying the virtual content with the real environment. 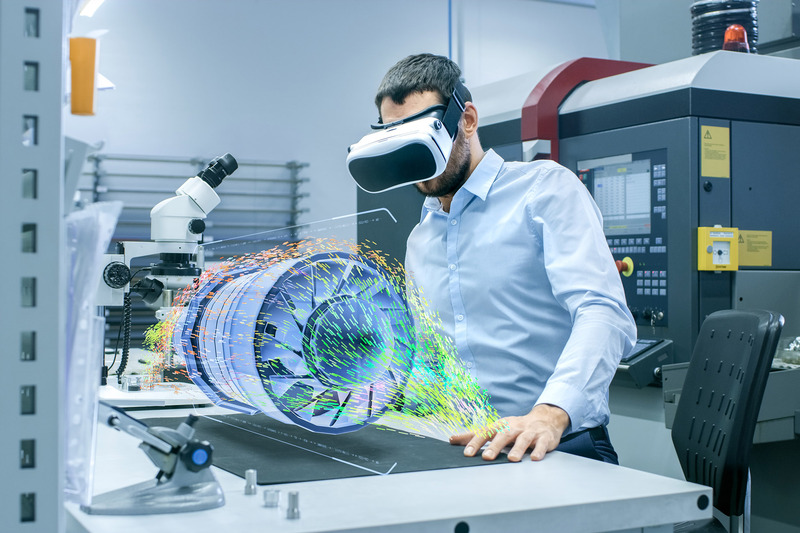 The combination of virtual content with camera shots makes it possible to add any additional information to the real world, such as fading in three-dimensional objects for a virtual home furnishings. The applications can be expanded with additional information, such as product details, from an online or offline database. The possibility of reproducing the application on various modern mobile devices enables wireless and location-independent use. The use of modern mobile end devices has the advantage that they are already available to the majority of users. 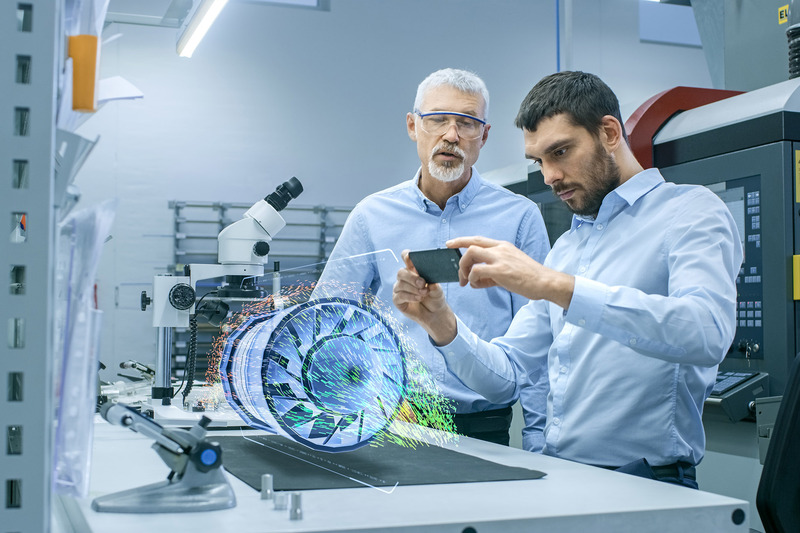 Mixed Reality basically describes a free, context-dependent connection of Virtual, Greenscreen and Augmented Reality technologies. 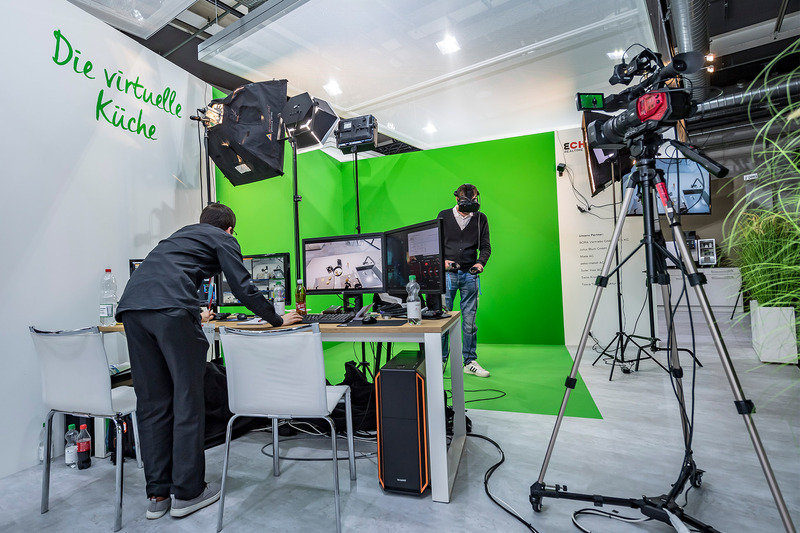 An example of this is provided by Echtzeit GmbH in cooperation with Stoop Production, our partner company for VFX technologies, realized exhibition project for Swissbau 2018. In high-end virtual reality, the hardware consists of several components. One is the Head-Mounted Display, HMD for short, which is responsible for the stereoscopic image transmission and the position and direction tracking of the user's head. Some systems also require additional position sensors for precision tracking. Various input devices are used for interaction with the virtual environment. The most frequently used are so-called motion controllers, whose position and orientation are also detected in 3D space. Further input options are gloves, which allow the transmission of simple finger and hand movements, or gesture recognition using cameras integrated in the headset. The selection of the appropriate hardware depends strongly on the respective field of application.